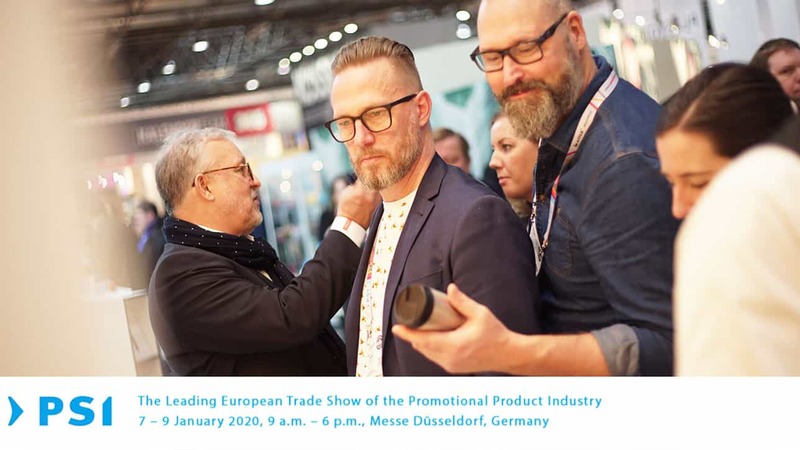 Every year, Creon goes to PSI – The Leading International Network of the Promotional Product Industry – in Dusseldorf, Germany. We go PSI to fish out new and innovative branded items and suppliers and keep an eye on new and cool trends and ideas. Joakim Håkansson, Key Account Manager at Creon, was particularly interested in the wide range of textile products present at the trade show. Many are produced with minimal use of harmful substances, which we see as a very positive environmental trend. Key Account Managers Magdalena, Sibban, Fia and Isabel were also there and brought home new insights and fun and innovative branded item ideas. After the fair, Dragan, Art Director at Creon said ‘This years PSI has shown me that sustainability in materials and processes, transparency and tracability of goods and materials and a general good attitude towards people and the environment are to stay’. Good news for me and the promotional products industry!